In memory. Playing with My Midnight Creeps at book release party for "White Nights", rock’n’roll photographs by Morten Andersen in Oslo 1980 to present. 2006-11-24. 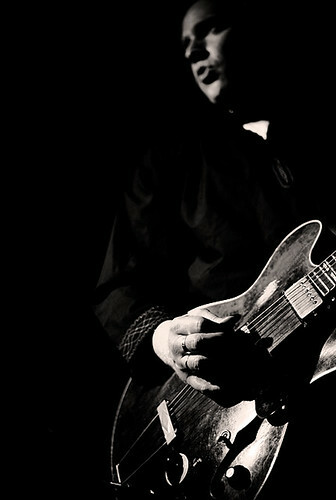 This entry was posted in Photography and tagged b&w, concert on 2008-11-25 by Espen Stranger Seland.